Newly renovated, this Jamaica resort provides families — with teens and older — an all-inclusive vacation that meets all of life's simple requirements for sun, food, drink and fun. 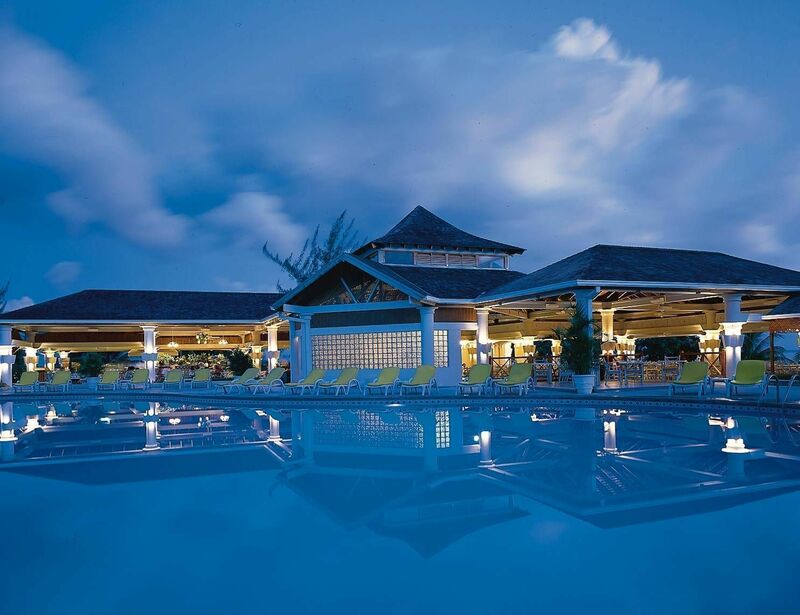 Nestled on 22 acres of beachfront property in lush Runaway Bay, Jamaica, SuperClubs’ Breezes Runaway Bay Resort & Golf Club is an all-inclusive property which only caters to adult families. 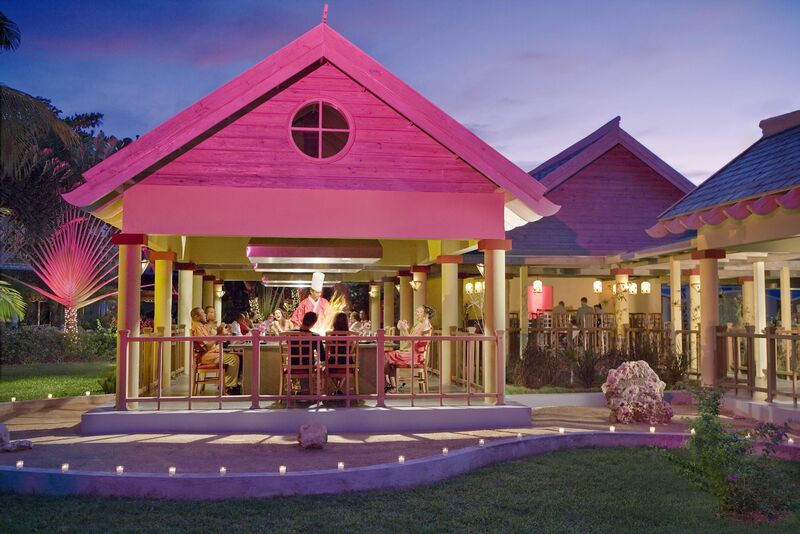 If traveling with reluctant teenagers is a problem, this resort, a great hideaway located an hour away from the Montego Bay airport, can provide ages 14 and up with an escape. Like at any all-inclusive property, families will find fun watersport activities, blue waters, delicious tropical Caribbean drinks (for those over 18) and great food, but they can also rest assured that there will be no young children roughhousing in the pool or babies crying during dinner time. With a tranquil vibe, Breezes Runaway Bay entices mature families looking for a relaxing vacation without the stresses of everyday life. The activity center may be off to the side in the northeastern corner of the resort’s property, but for teens (plus mom and dad, too), it is certainly the hub of it all. Known as the “Paradise that Jams,” guests can work up a sweat with land sports such as supervised bicycle tours off property and nature walks along the beach. Families can even play cricket, volleyball, tennis and soccer games with the help of an instructor. Check out the circus workshop (open Monday through Saturday) for flying and swinging trapeze, trampoline and juggling clinics and shows. Other special activities and nighttime entertainment opportunities include tropical shows, calypso bands, horse and buggy rides, afternoon tea and reggae dance lessons. 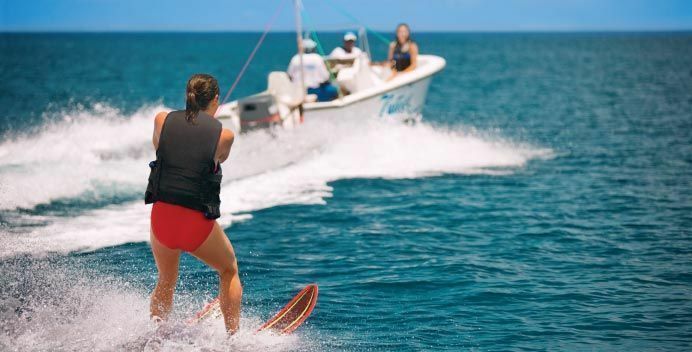 Cool down with watersports, including windsurfing, catamaran cruises (sign up required in advance), sailing, kayaking, waterskiing and snorkeling. All aforementioned activities are included in the all-inclusive rate, as are the majority of amenities and services available at Breezes. But for a little extra, the resort even offers a PADI Gold Palm 5-star Instructors Development Course that can help even novices learn to scuba dive in Jamaica’s beautiful water. 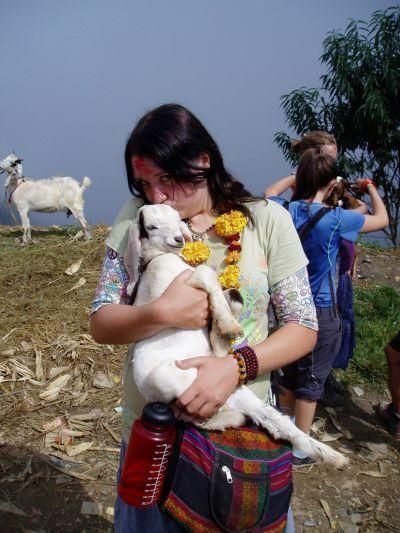 All interested guests must inquire a day in advance before their desired participation date. 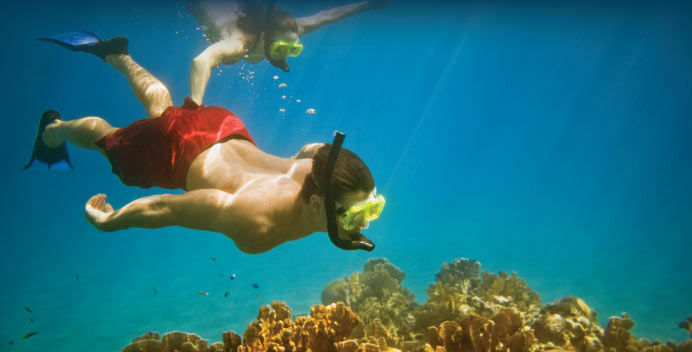 All dive sites are a 5-10 minute boat ride from the Breezes’ private beach. Of the 14 dive sites, favorites include The Wreck, the underwater resting place of The Reggae Queen, a steel vessel that lies on the ocean floor, or The Nursery, a flora and fauna undersea garden of soft coral and tons of fish. Certification is available at the resort as well; rates for diving start at $70. Guests are also welcome to enjoy unlimited golfing at the off-property SuperClubs 18-hole, par 72 Championship Golf Course adjacent to the hotel. For both beginners and advanced golfers, the course, which measures 5,389 yards and has a slope of 117, is a great green to spend an afternoon on. All green fees and golf school instruction are included in the all-inclusive price. However price-concerned golfers should note that carts, clubs and the mandatory caddies are not included in this rate. For guests who desire a more leisurely vacation, there is plenty of opportunity for that as well. Despite the buzz of activity that is constantly flowing throughout the resort, finding a secluded spot on the 325-yard white sand beach of Runaway Bay is always a possibility. Additionally, there are three pools and three Jacuzzis spread throughout the premises. And for parents who would like a tropical beverage to go along with their relaxation, finding one is easy with the five bars at the resort, one of which is a swim-up bar located in the infinity and misting pool. For the experimental and daring, walk up to any of these bars and ask the bartender for his or her “special.” Each staff member has his or her own specialty drink; it is usually fruity and contains rum, but when asked what it is called or what is in it, a guest merely gets an elusive smile. To continue the relaxing escape, guests can opt to make an appointment at the newly revamped Blue Mahoe Spa for one of the myriad of treatments available including massages, body scrubs, facials and wraps. A special feature of the spa is its location: in the middle of the resort’s lush tropical landscape there are five private outdoor treatment rooms, allowing guests to further connect with the tranquil Caribbean land and environment. Whether running around the property from one activity to the next or just laying out in the sun all day, guests are bound to develop an appetite. No matter what time of day the urge to eat occurs, there is a dining option available. Buffets are available from 7am until 1:30am at either the Beach Terrace or new Reggae CafÃ© RASTAurant, which serves up yummy traditional Jamaican cuisine in addition to simple burgers and fries. And if hunger strikes in the middle of the night, the hotel’s Front Desk features a 24-hour Snack Attack, a lunchbox with fresh sandwiches, fruits and pastries. For families looking for more formal dining options, Breezes has plenty. An interactive experience, Munasan, named after SuperClubs’ founder John Issa’s daughter, Muna, serves up Japanese fare with talented and entertaining chefs cooking up the meal right in front of guests. The outdoor, open-air restaurant also features a delicious sushi bar. Even more elegant is Pastafari, the air-conditioned Italian restaurant and antipasto bar. Although the food is delicious, parents may opt to leave the teens behind this evening. The service, although diligent, is slow paced and the dim, romantic lighting in Pastafari might not keep teens’ interest for a long meal. Instead, send the kids to the Starlight Grill for causal Mongolian cuisine out under the stars. Note that each of these restaurants has different days and hours of operation, so be sure to inquire on check-in and make advance reservations, especially at the popular Munasan and Pastafari, as soon as you can. 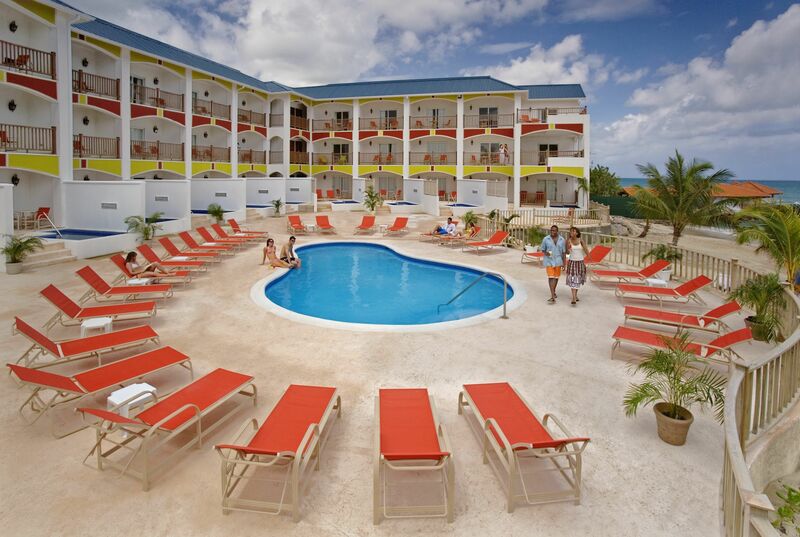 With so much to do, see, and eat at Breezes, there is not much time to spend in the room, except for sleeping. (Although with Club Hurricanes, the resort’s disco, opened until the wee hours of the night, there might not be much time for sleeping either). But when guests do spend time in their rooms, they will be happy to discover comfortable and modest accommodations. 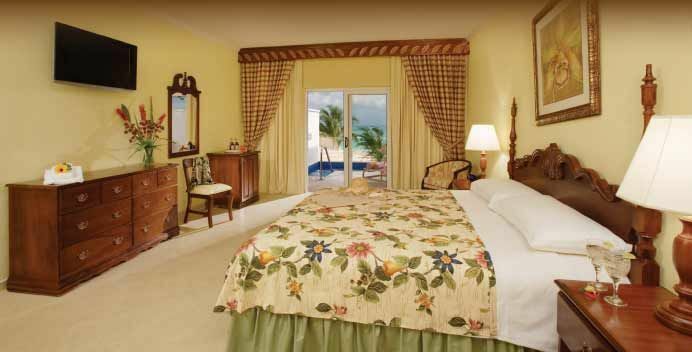 Plus the resort, which recently underwent a $20 million renovation in 2006-2007, now features 236 refurbished rooms and 30 brand new oceanfront rooms and suites in the new wing, which boasts its own private pool. Equipped with private balconies and the standard amenities including a refrigerator restocked daily with soda, water and beer, each room features either ocean or garden views. Request accommodations with a private plunge pool on the veranda, a perfect spot to take a refreshing dip right before entering the room. When the 155-acre resort says that everything is included, it means it. Upon arrival at the Donald Sangster airport in Montego Bay, guests can check in with the SuperClubs Welcome Longue where a representative will arrange for the complimentary transfer to the resort. Plus, tipping is simply not permitted, but that doesn’t mean that the quality of service suffers. Instead, the friendly Jamaican staff goes above and beyond to greet guests with a smile and a willingness to assist in any capacity. Rates at the resort are reasonable – under $150/N per adult in the low season for an all-inclusive package. Visit the SuperClubs official site to learn more about the Breezes Brand or go directly to Breezes Runaway Bay’s page to book your trip. Voted the #1 Hotel in Runaway on the TripAdvisor Popularity Index, call 877/Breezes for more information about this all-inclusive paradise. Breezes is the first and only Jamaican hotel to offer under water weddings to certified divers. Upon entry to the newly expanded lobby, there is a tour desk offering river adventures, dolphin experiences, canopy zip-line excursions and more for an added fee.